"Are you now or were you ever?" Arthur Miller explains why he wrote 'The Crucible'. An overview of the events in the 1950's. Documents compiled by the Eisenhower Presidential Library. Excerpt from The Encyclopedia of the American Left. Political cartoons from the 1950's in the U.S.A. Senator Joe McCarthy's speech at West Virginia attacking Truman's foreign policy, accusing the government of harbouring communists. Reading list and research tools from the University of Pennsylvania. A comprehensive overview of the era, including links to information about daily life, witchcraft, and the Salem witch trials. 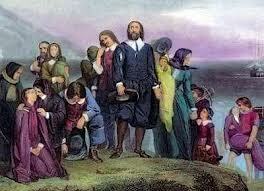 An overview of the Puritan religion. This article describes the beliefs and religion of the Puritans. An electronic collection of primary source materials relating to the Salem witch trials of 1692, compiled by the University of Virginia. 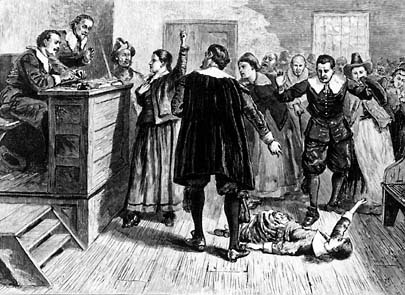 Examination of a scientific explanation of the hysteria behind the Salem witch trials. From PBS. "Why I Wrote The Crucible: An Artist's Answer to Politics."